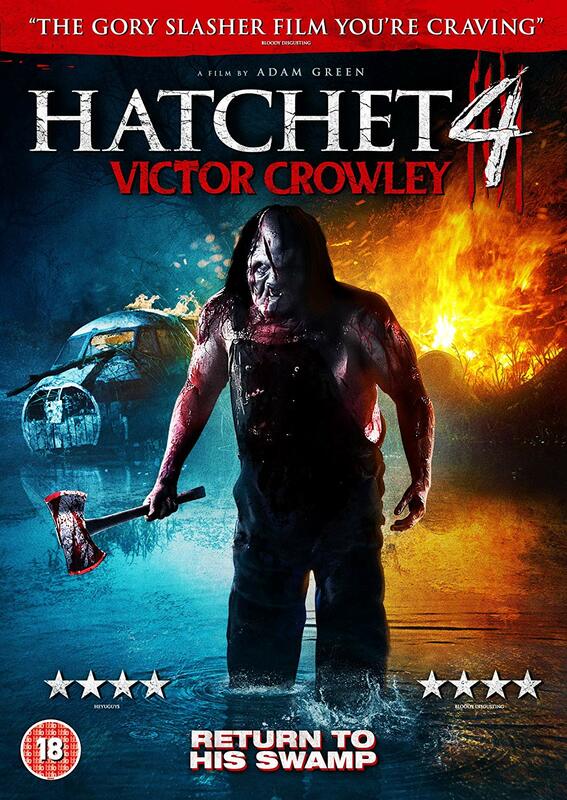 Last year’s Hatchet 4: Victor Crowley finally makes its way to home video format in the United Kingdom from Thunderbird Releasing on September 3, which is the latest brutal sequel in the popular goretastic horror franchise. Head on down to check out the cool cover artwork, including a pre-order link for the DVD release RIGHT HERE! Special features to be announced. The film stars Kane Hodder and Parry Shen, along with Laura Ortiz (The Hills Have Eyes), Dave Sheridan (Scary Movie), and Brian Quinn (truTV’s “Impractical Jokers”). Victor Crowley brings writer/director Adam Green back to the director’s chair to proudly assure an all-new, horrifying journey into the haunted, blood-drenched bayou. You can pre-order yourself a copy of Victor Crowley on DVD from Amazon.co.uk.